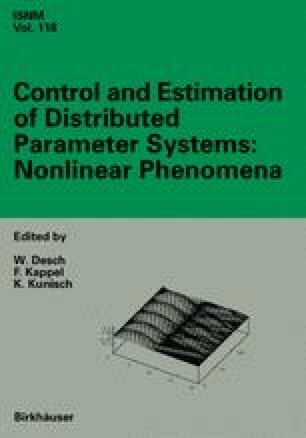 In these notes we want to present some control strategies for dynamic networks of strings and beams in those situations where the classical concepts of exact or approximate controllability fail. This is, in particular, the case for networks containing circuits. Generically, a residual motion settles in such circuits, even if all nodes are subject to controls. In those situations we resort to controls which direct the flux of energy. Using such controls in a network, we are able to steer the entire energy to preassigned parts of the structure. In practice these parts are more massive and can absorb energy more easily than the fragile elements. We also provide numerical evidence for the control strategies discussed in these notes. The material is related to joint work with J.E. Lagnese and E.G.P.G. Schmidt, and is essentially included .